Well, I started blogging to record personal memories and share with my family/friends who live far away. Then: surprise! My blog started to grow and more people than my mom began to read it. In some ways I can relate, but in other ways I sometimes feel like my experience with blogging has been a bit backwards. I didn't start blogging for personal reasons; I started blogging so I could publicly share our adoption journey with those who were supporting us financially, emotionally, and spiritually. It's been exciting to see my readership grow slowly but surely over the years and has forced me to examine again and again what is the purpose behind this blog. I haven't blogged to fundraise for years, yet I've kept writing out of a sense of calling. A sense that God wants me to write, to share the story he's writing for me in order to be an encouragement to others. Sometimes I want to say I write to bring God glory, but truthfully I don't know if that is really the best way to say it. All the glory in the universe already belongs to him; I bring him nothing he doesn't already have, right? Instead, I try to look at my blog in a very simple way: it is a platform on which I can share my journey of faith. Share what it looks like for one woman to wrestle with, embrace, reject, return to, and fall in love with God. So far I've mostly written about adoption, parenting, and infertility because those things have been the primary goings-on of my life since I started writing. 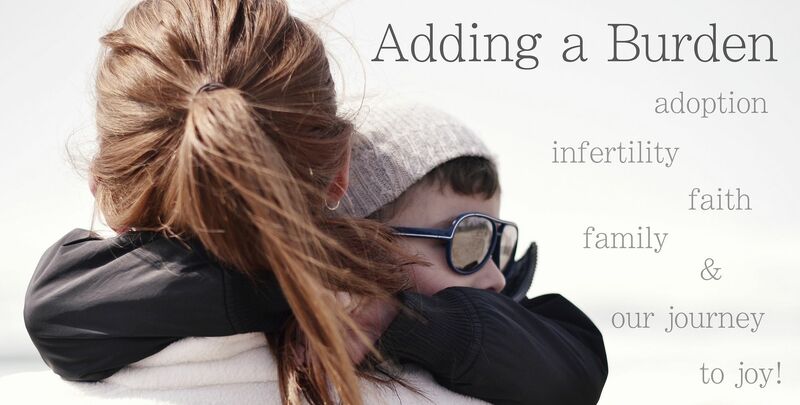 There have been many of you who have connected with my story because of adoption, but even more of you have connected with me because of infertility. This fact surprised me. When I started writing about our infertility journey I wondered if I would loose my readership. The opposite happened, however, and it grew. There is something special about the bond between women who know what it is like to long for a child with empty arms. Most of my readers have resolved their infertility battles in some way. But some have not. As I think about continuing to share my story through this pregnancy those women are the ones who weigh most heavily on my heart. I know what it is like to feel that pit of sadness swell up inside when another woman shares the joy of the life growing inside her. I hate to think that I would cause that wave of pain to crash over any one of you. At the same time, I want to celebrate and cherish every moment of this precious gift I've been given. After the years of longing, I want to relish in those deferred hopes that have finally been fulfilled. I will honor you by cherishing this pregnancy. I know how it hurts to see a woman taking her pregnancy for granted. I will honor you by being mindful of the gift I have been given and by carrying it with gratitude every single day. I will honor you by not complaining. If I share my struggles, I will do so with respect. I will not whine aimlessly about being tired, nauseated, or not being able to breathe when I have baby feet in my ribs. If I mention those things, I do so being mindful of all the women who would love to trade places with me. I will honor you by respecting your decision to take a break from reading this blog. I am going to be sharing the joy of my pregnancy here and through my social media channels, but I will tell you as clearly as I can: if reading about my pregnancy hurts you, I completely understand if I loose your readership. I say goodbye with nothing but love and hope for you. Finally in a very practical way I've decided that I will keep ultrasound and posed "belly shot" pictures off my primary posts on Facebook. I'll share them via this blog, twitter, and Instagram, but if I share them on Facebook I will do so by posting text and then sharing the picture in the comments. That way if you prefer not to see those pictures in your news feed, you can pass them by. For me, seeing those pictures sometimes stung so I want to respect you the same way I would want. Tomorrow I have my first ultrasound (6 weeks). To say I have been anxious is an understatement. I have been so scared that they will not see a growing baby inside me. I think some of you must be praying for me though because yesterday I began to calm down a little and feel more peace, more hope that we will see our precious child and his or her beautiful heartbeat. I cherish your continued prayers as we walk toward this first big milestone! Thank you! Sending lots of love and gratitude to you all for walking alongside me in this journey. I'm so thankful for you. I will continue to write and share my faith journey through this pregnancy with great gratitude for your readership! I want to be able to celebrate your pregnancy. 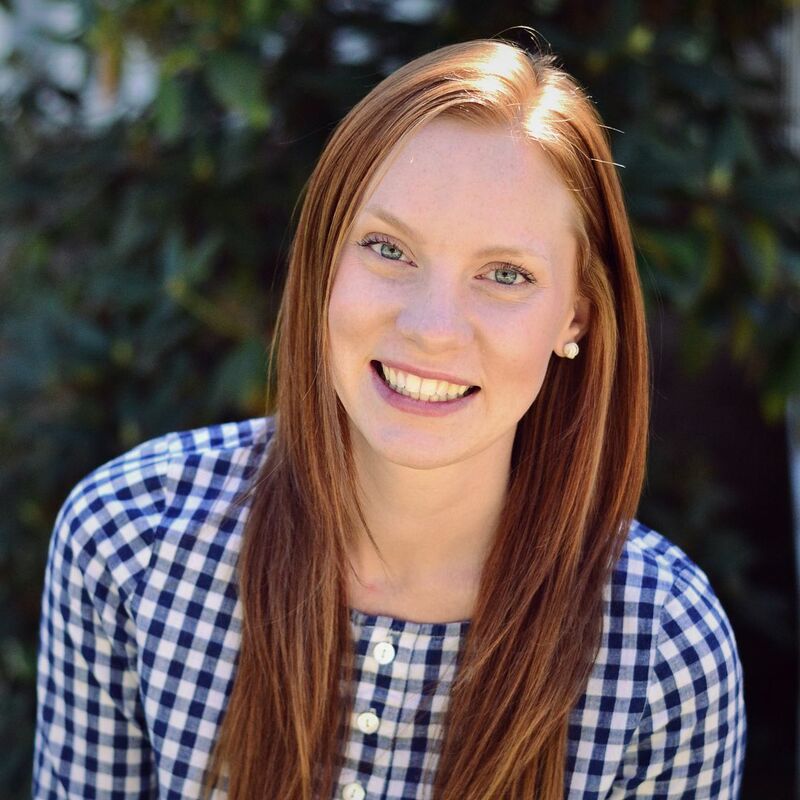 Count this as one IF sister who wants you to share your journey on this blog. And complain as much as you want. You're building a human(s) with your body. That's an amazing and wonderful thing- and it hurts. And it makes you feel like crap. And that's ok. You don't have to filter your thoughts- you have every right to complain about the aches, the pains, the sickness, and the fatigue. You've earned that right. Thank you for the grace Becky. It means a lot to me. I think this is one of those situation where even though I know I have the right to complain, it would not be beneficial. But rest assured though I'll keep the complaints off the blog, I will complain to my husband when I need to ;-) Thank you for celebrating with me!! This is an incredibly kind and respectful post. As someone with two kiddos who has gone through infertility and miscarriage, I understand the pain that those belly pictures and ultrasound photos can cause. On the other hand, I know that when I was going through my struggles, it was such an encouragement to read the success stories from women who had been there and done that and now had sweet babies at home to treasure. I'm glad you're still going to keep blogging -- I enjoy reading about your journey. Best of luck with the ultrasound tomorrow! I don't really know what to say as tears start t well up in my eyes. Thank you for your beautiful honesty and loving consideration of your readers. I feel quite bonded to you and your family though I've never met you and hope that your pregnancy continues smoothly and without a hitch. Take care of that little snowflake for us. And me. Take care of him/her for me. Oh Jen that warmed my heart so! I will take great care. Oh my gosh...I've kept up with your blog for years, and new someday I would read about your pregnancy. I'm so overjoyed to check in on you and see this! After my 3 year battle with infertility, when I finally was pregnant, I felt this exact way. I treasured every pain, cried at every ultrasound, laughed with every belly kick, and thank god every single day. And I still thank god every day, specially when I'm getting giggles from my 8 month old. Buy, I will never forget the heartache of infertility, nor the women that are struggling with it as I was. Some that may not ever get to the other side of it. And you won't either. But REJOICE in this. Don't worry about offending others. Your joy and appreciation for your pregmancy should be celebrated with reckless abandon! I for one, cannot wait to read about this part of your journey! Thank you for sharing your life. You can bet I am rejoicing in this pregnancy!! Thank you for your encouraging comment! I think this is such a beautiful and considerate post. As someone who is still in the trenches and in the middle of my 3rd IVF, I'm keenly aware of what a tough choice this is. 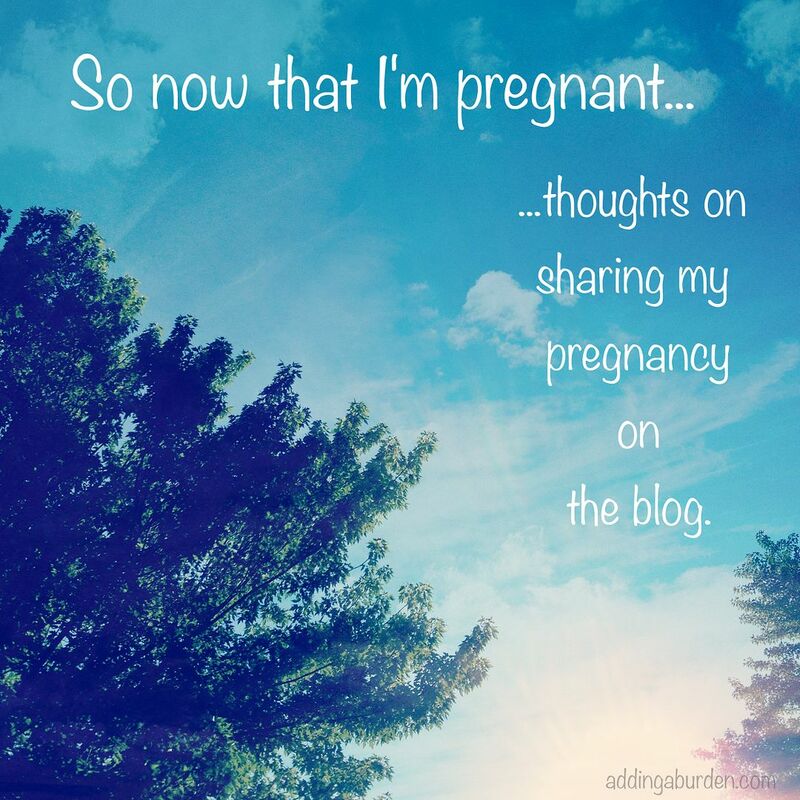 I know that if and when I get pregnant, it will be very hard to decide how to share on my blog. I deeply appreciate the thought you've put into this. I think those of us in the trenches can still celebrate with you even if we're sad for ourselves. Infertility is a bittersweet sisterhood where we must rejoice AND mourn with each other. Many blessings to you. "Bittersweet" is exactly the right word. Thank you so much for your comment Lisa.